San Leandro Shines During San Leandro Solar Week! This simple sentence introduces the City of San Leandro’s Climate Action Plan report, crafted and adopted by the City Council in 2009. The report identifies specific environmental impacts the global community — and the City of San Leandro — can anticipate in the decades to come. The report calls out the human-induced nature of global warming and the responsibility of local governments to reduce harmful carbon emissions that accelerate global warming. 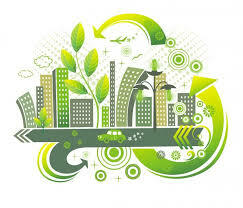 Prior to adoption of this Plan, in June 2006 the City had adopted a resolution to reduce community wide emissions by 25 percent below 2005 levels by 2020. Adoption of alternative, clean energy sources, particularly solar energy, is key to meeting San Leandro’s carbon emission reduction goals. San Leandro Solar Week showcases San Leandro’s collaborative approach to solving challenges. The City is sponsoring five days of solar-related events in partnership with Pilot City, Zero Net Energy Center, OSIsoft, San Leandro Tech Campus/Westlake Urban, Cal Poly San Luis Obispo, SfunCube, Sungevity, Enel (Italy’s largest energy company), General Microgrids (“smart grids”) and others. The week’s events and its sponsorship are designed to demonstrate aspects of rapidly developing solar technologies that San Leandro is considering to meet its own climate action goals. REGISTRATION IS FREE AND OEN TO THE PUBLIC (LIMITED SEATS AVAILABLE) FOR ALL EVENTS EXCEPT THE OSISOFT USER CONFERENCE! Solar Week will kick off on Day 1 with Solar Cal Poly, an interdisciplinary team of Cal Poly students selected to compete in this year’s U.S. Department of Energy Solar Decathlon competition . The competition challenges colleagiate teams to design, build and operate solar-powered houses that are cost-effective, energy efficient and attractive. 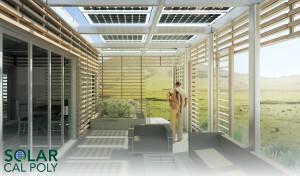 Join us for the unveiling of this year’s solar house design and project fund-raiser. Day 2 is focused on OSIsoft’s annual User’s Conference, taking place at Hilton, Union Square, San Francisco. OSIsoft, with headquarters in San Leandro, is a global leader in operational intelligence, delivering an open enterprise infrastructure to connect sensor-based data, operations and people. OSIsoft’s principal and founder, Dr. Patrick Kennedy, is the City’s partner in development of its fiber optic network, Lit San Leandro, and key to San Leandro’s development as a Smart City. What will it mean for San Leandro to become a Smart City? Arts, technology, fiber optic infrastructure, sustainability, alternative energies — San Leandro is poised to become a smart, connected community and a model for industrial renaissance. Representatives from Enel, OSIsoft, General Microgrids and members of the San Leandro community will join us for this exploration. Following the Smart City Hack, participants will have the opportunity to envision the creation of a smart, connected alternative energy grid, uniquely enabled by San Leandro’s 10 gbps fiber optic infrastructure, Lit San Leandro. Fiber optics provides San Leandro with a powerful tool for connecting and delivering sustainable energy to the San Leandro community and delivering on carbon emission reduction goals. Both the Smart City and Smart Grid Hacks are open to the San Leandro community. Seats are limited, so please register today at SolarSanLeandro! San Leandro Solar Week was developed by 26-year old Derick Lee, San Leandro resident, graduate of Cal Poly, entrepreneur (“Pilot City”), and co-producer of San Leandro: Prototype City of the Future, a video celebration of San Leandro’s developing reputation as a municipal tech and innovation leader. For more information and to register for one or more of these San Leandro Solar Week events, please go the event web site at http://solarsanleandro.com/ , or contact Derick Lee, (510) 676-5861 or fmvenue@gmail.com. There is no cost to register for any of the events except Day 2 (OSIsoft User Conference), and space is limited for all events at the Zero Net Energy Center.